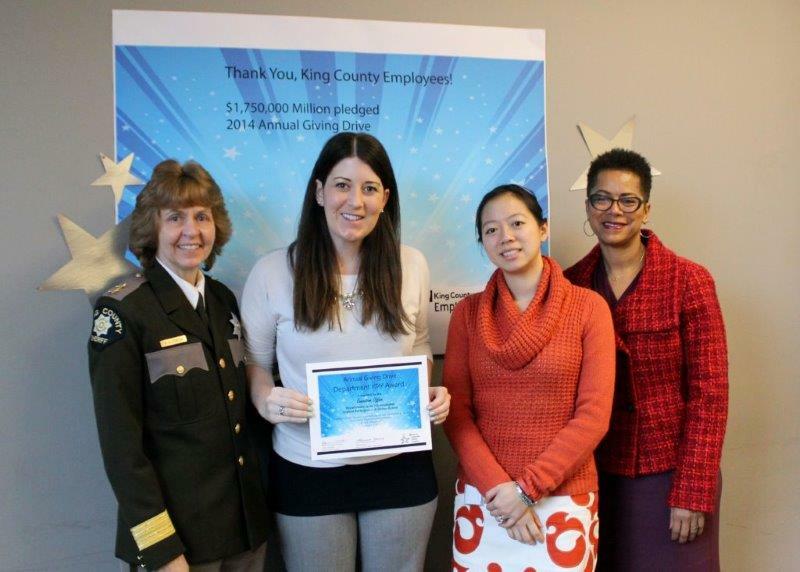 The Executive Office has the highest participation of any department or separately elected office in King County at 70%. There is no better way than to lead by example, we are incredibly proud of this showing of support for nonprofits. Lisa Verner, the Lead Ambassador for DPER, was also recognized for Rookie of the Year. Her first year not only as an Ambassador but as LEAD Ambassador. Under her leadership, DPER was not only most improved for their category, but in the entire county and doubled their new connections. Congratulations Lisa! 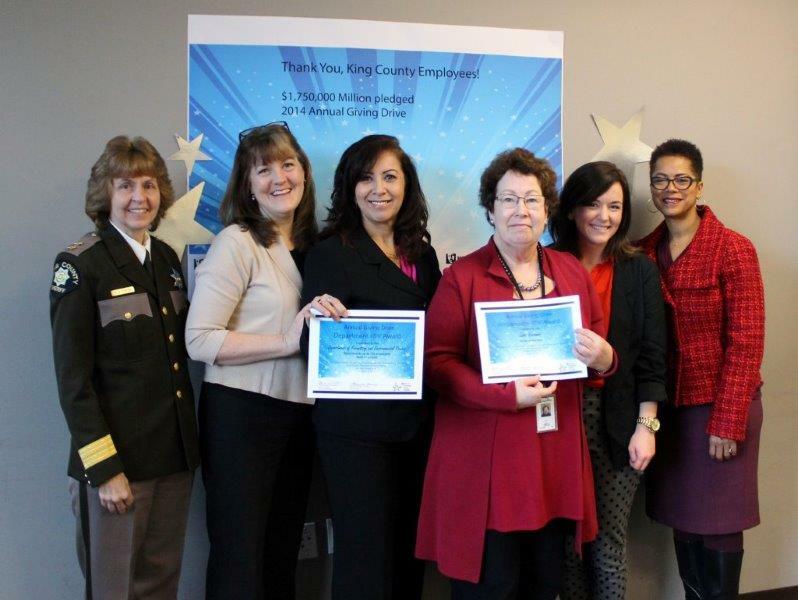 The King County Council increased participation by 30% over the previous year including 25 new connections! This is a perfect example of how having a team and focusing simply on making sure that every employee has a quality, personal opportunity to contribute can have dramatic impacts.